Why is Hovo 620 model maintenance easy? Will Hovo 620 continue to do vacuuming after battery is recharged? Can Hovo 620 mop the floor? Should Hovo 620 remain at charging base in order for scheduler to work? What is the warranty period for Hovo 620? Where can I get Hovo 620 User Manual? 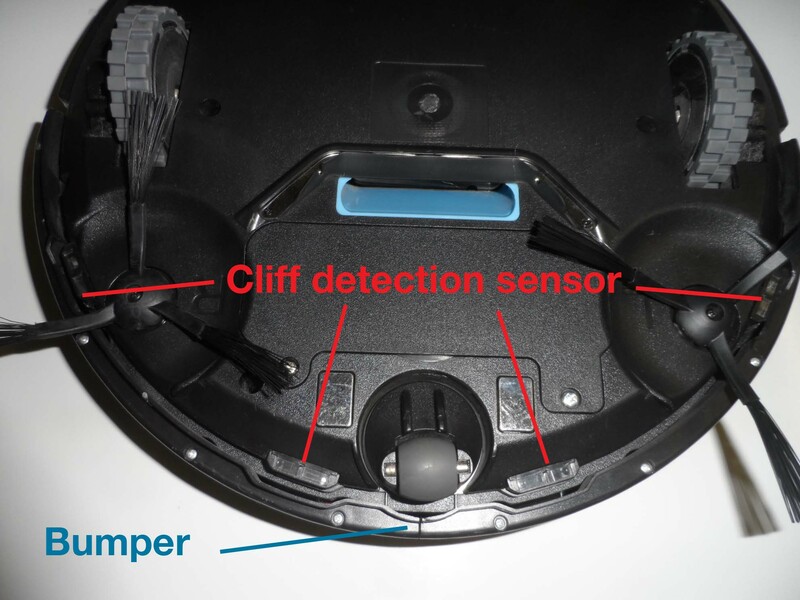 Does Hovo 620 have virtual wall like device to block vacuuming area? Where to place Self-Charging Station to make it easier for the Hovo 620 to find it? How does Hovo 620 search for Self-Charging Station? Is Hovo 620 good to clean thicker carpets? Can it go over area rugs with tassels and if gets stuck reverse and move on? View Hovo 600 error codes meanings and trouble shooting. 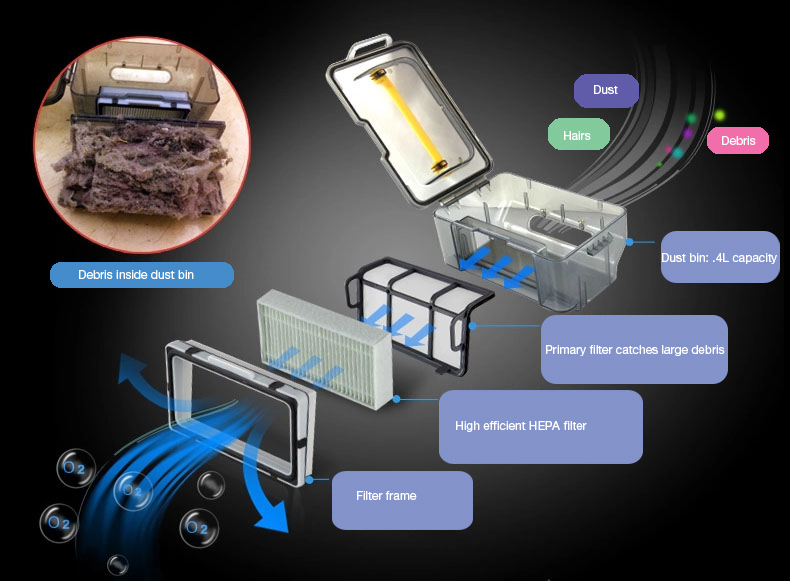 The following diagram illustrates how primary filter and HEPA filter work. 3. Why is Hovo 620 model maintenance easy? 4. 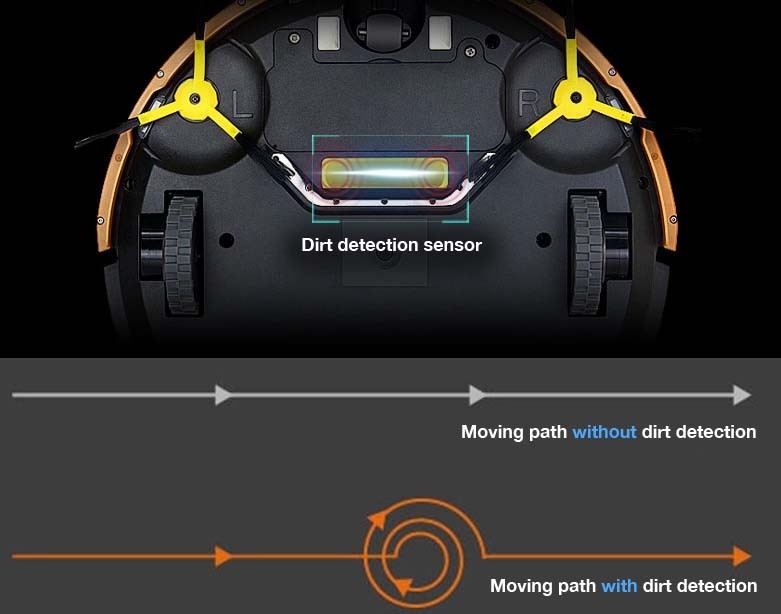 Will Hovo 620 continue to do vacuuming after battery is recharged? No. 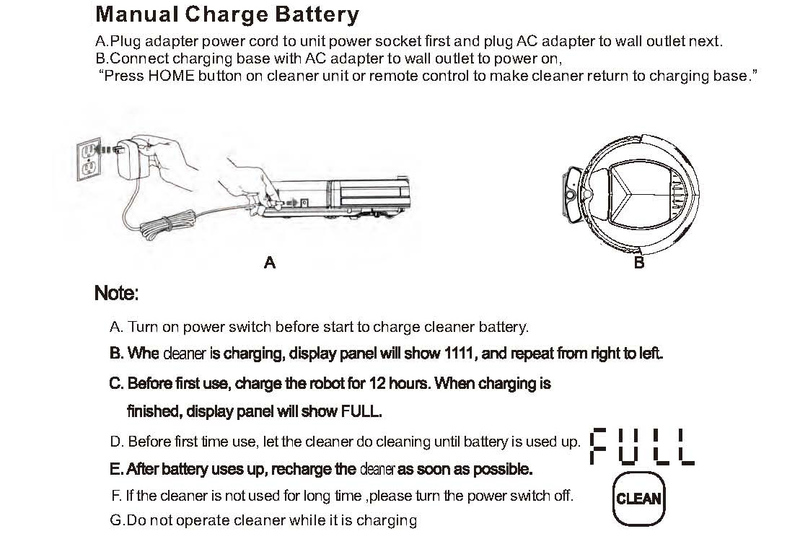 but after the battery is completely recharged by its docking station, you can press the "CLEAN" key to resume cleaning. To save power consumption, you can turn power switch off after battery is fully charged. 5. 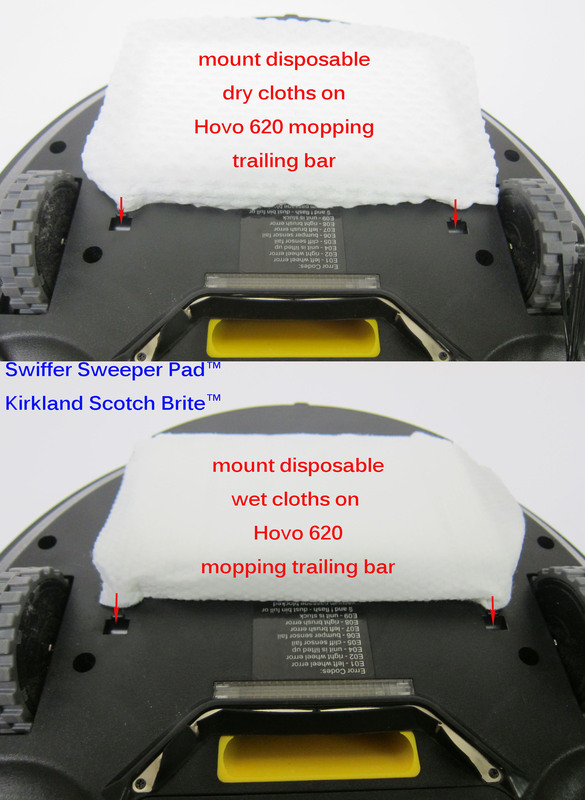 Can Hovo 620 mop the floor? 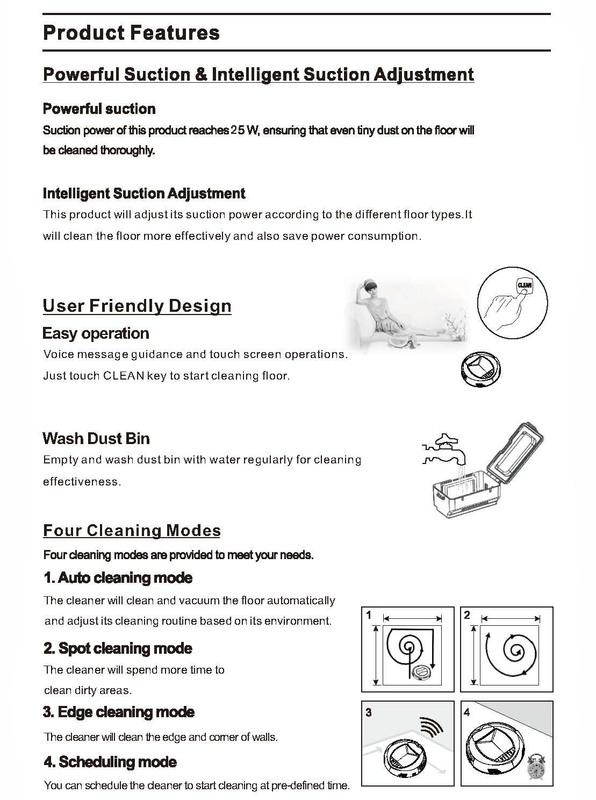 Hovo 620 model has two extra features; UV light to kill germs and mopping pad to mop hard surface floors. Two washable microfiber mopping pads are included inside package to do dry or wet mopping. You can also use third party Kirkland Scotch Brite ™or Swiffer Sweeper™ pads to perform your mopping or sweep floor cleaning. 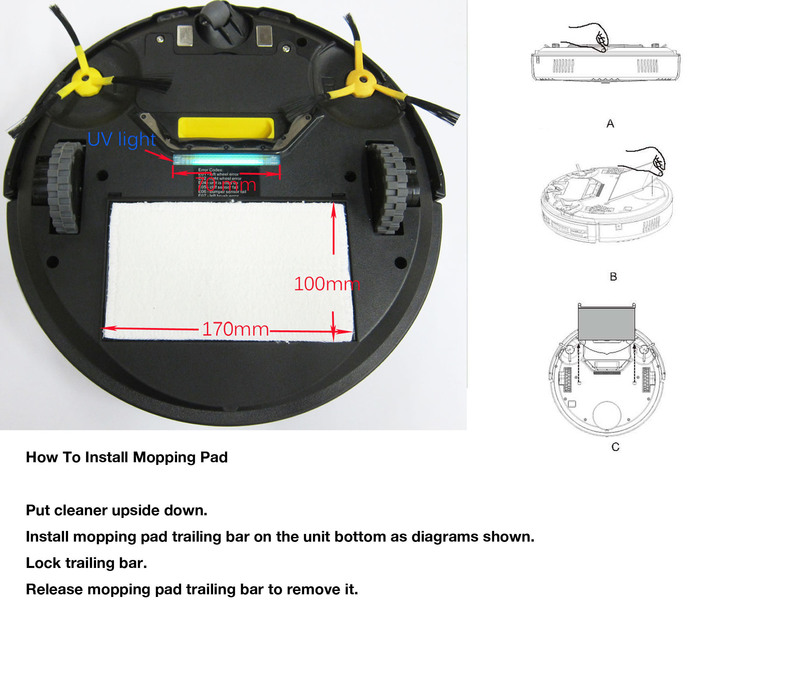 It is easy to mount third party pad on mopping trailing bar. 6. Should Hovo 620 remain at charging base in order for scheduler to work? No, Hovo 620 scheduler can function anywhere. When pre-programmed time arrives, Hovo 620 will automatically start the cleaning process. 7. What is the warranty period for Hovo 620? 8. 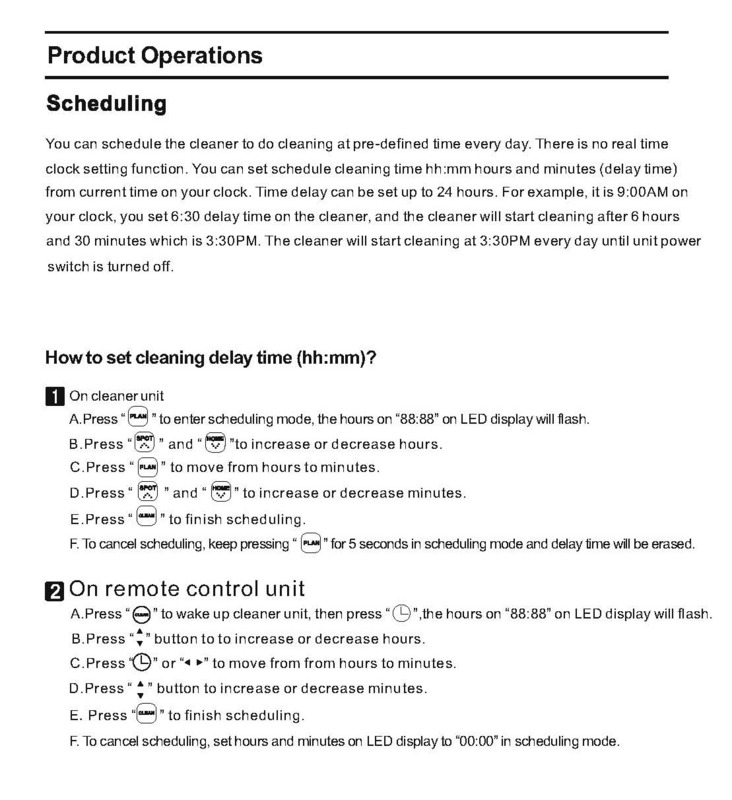 Where can I get Hovo 620 User Manual? 9. 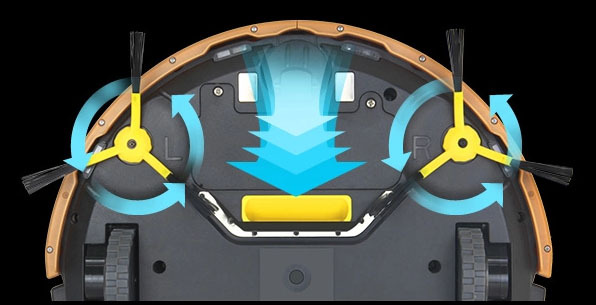 Does Hovo 620 have virtual wall like device to block vacuuming area? 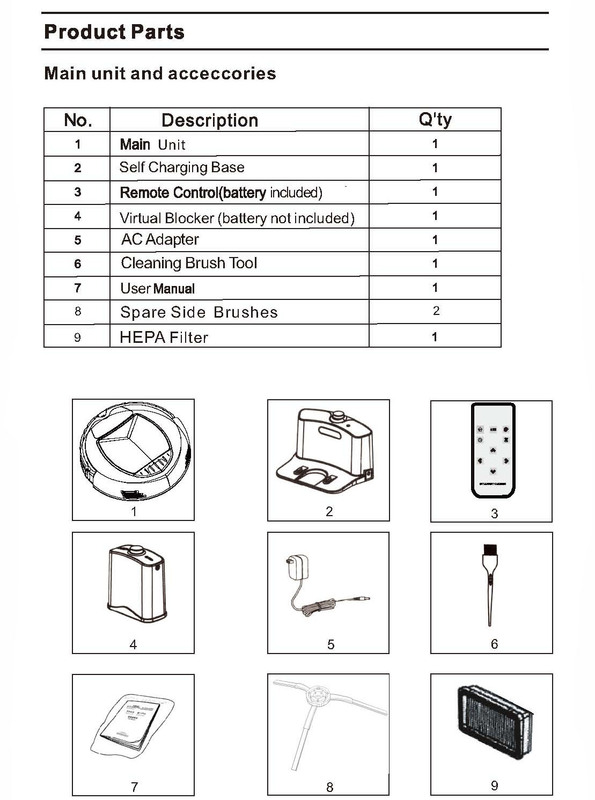 To save power consumption, you can turn power switch off and unplug charging station after battery is fully charged. 11. Where to place Self-Charging Station to make it easier for the Hovo 620 to find it? 12. How does Hovo 620 search for Self-Charging Station? Hovo 620 finds the charging station using stronger signal between its unit and base. This way, the docking process is quick and efficient. 13. Can I move charging station to different location without affecting its schduled time settings? Yes, the Hovo 620 can be moved manually to a specific spot via remote control buttons. During its movement there, it is also continually cleaning. Once there, it will clean that spot until the the built-in dirt detection feature decides the spot is fully cleaned. 18. Is Hovo 620 able to clean thicker carpets well? Can it go over area rugs with tassels and if gets stuck reverse and move on? Hovo 620 can clean carpets that are thick up to 1/2". Hovo 620 can climb up 1/2" carpet. It will not go over rug with tassels since the roller brush will not do reverse action like Roomba unit. 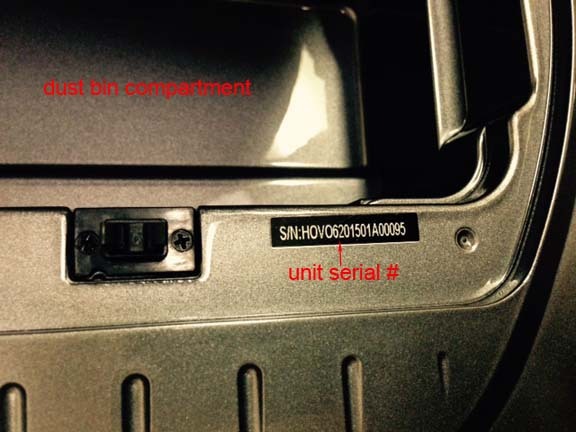 22 Where can I find unit serial #? 23. How do I clean my unit?